After the two blockbuster weeks, the Hindi action entertainer Uri: The Surgical Strike has passed the third weekend as well on a strong note at the domestic box office. Despite the new Hindi releases, it maintained a solid pace and showed a healthy growth over the weekend. Directed by Aditya Dhar, Uri: The Surgical Strike has got succeed to entertain many in theatres and received mostly positive reviews from the critics. In the first week, it remained super strong throughout and did the business of 70.94 crores which included 35.73 crores in the weekend and 35.21 crores on weekdays from 1200 screens. Then in the second week as well, Zee Studios’s presentation showed a terrific performance and raked the business of 62.54 crores with 38.22 crores in the weekend and 24.32 crores on weekdays. After 2 weeks, the total collection of the film was recorded 133.48 crores. Now, Uri: The Surgical Strike is running in the third week and once again passed the weekend on a strong note. On 3rd Friday, it faced a drop of 15.39% than the previous day and minted the amount of 4.40 crores. On 3rd Saturday, it took a healthy growth and bagged the amount of 9.86 crores. On the next day i.e. 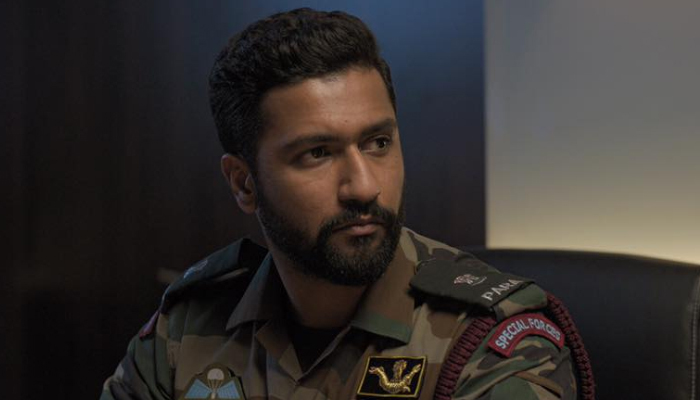 3rd Sunday, with a further jump, Vicky Kaushal, Paresh Rawal, Mohit Raina, and Yami Gautam collected the amount of 9.28 crores and raised its 17 days total collection to 157.02 crores nett from across India.